Every hospital is committed to delivering the best possible care to their patients, with whatever resources they have. Even so, some are considered better than others by the patients who patronize them, and many hospitals simply rely on referrals or locking down insurance companies to make sure they’re the best in-network option. However, even hospitals exist on the free market. When patients are in a position to choose which hospital they go to, what can you do to set yours apart? It can be challenging to differentiate between hospitals, but most try to do it with new medical devices, hiring the best-reviewed surgeons, advertising costly amenities, and general aesthetic upgrades. While these methods can certainly be highly effective, they can also be highly expensive and after a point, offer diminishing returns. As technology continues to progress, new options have become available to medical professionals everywhere. 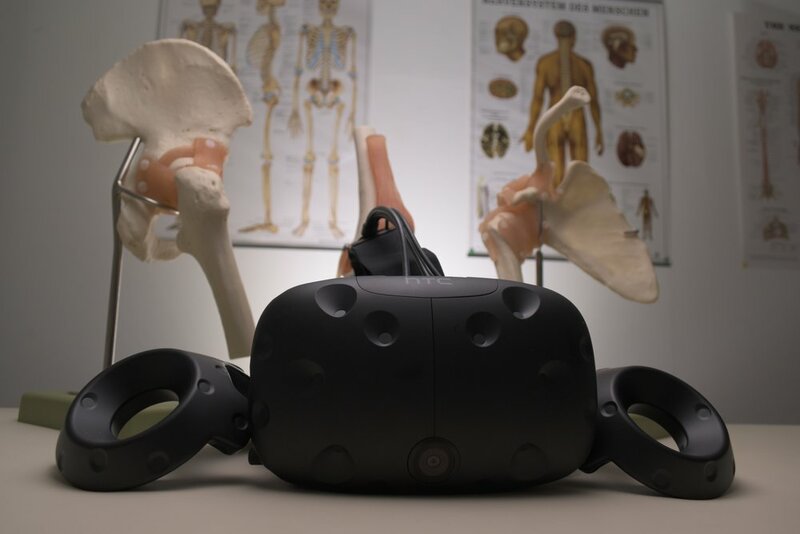 By taking advantage of increasingly affordable virtual reality (VR) tech geared towards hospitals, you can improve your current surgeons performance, improve the lifetime value of patients (as well as the quality of care they receive), and provide a patient facing wow-factor, too. ImmersiveView allows doctors and surgeons to show patients the exact process of their surgery with ease and clarity like never before. Patients and family members can dive into accurate MRI and CT scans of their own body, observing anomalies and learning about the procedure as their surgeon consults them. This allows patients to better understand what will be happening, which makes obtaining consent for procedures easier, as well as making patients feel more comfortable. Fewer questions, less confusion, and more acceptance from patients means less time spent being nervous and more time spent accepting and preparing themselves mentally and emotionally for their procedures. This advanced technology - that leads to more relaxed, more informed, more comfortable patients - improves a hospital’s reputation which will, in turn, draw in more patients. It’s also a great feature to advertise that few other hospitals will be able to replicate. Using ImmersiveSim, surgical residents at your hospital can practice surgical procedures using actual case files as many times as they like. The controller hardware accurately simulates procedures by acting as various hand tools while accurate haptic feedback in terms of shape, size, texture, and resistance of different tissue. The controller hardware accurately simulates procedures by acting as various hand tools while accurate haptic feedback in terms of shape, size, texture, and resistance of different tissue. This technology enables residents to train far more often than just on available patients, and gain proficiency at specific procedures before going into live-fire exercises. Produce more doctors, who are better trained and more comfortable performing complex procedures. ImmersiveSim also reduces the need to pay for continuing education courses on new procedures, as they can be uploaded to the system, allowing for infinite practice. Flashy consultations and high-tech resident training are valuable to your hospital, but at the end of the day, the most important things are the results and outcomes you can create for your patients. This is where ImmersiveSurgery shines. Using the same technology as ImmersiveSim, it takes the technology a step further by importing DICOM data from MRIs and CT scans and accurately rendering them in 3D space which can be explored by your surgeons in VR. Surgeons can trace precisely where to cut bone, place surgery steps in order on the model, and otherwise create wholistic plans for their actual surgeries, running through them and getting vital insights ahead of the procedure. With better planning comes safer procedures and better health outcomes. All of these benefits will accrue and build on each other, improving the reputation of the hospital and its employees, further drawing patients, residents, and doctors to it. As has been shown, adopting VR technology can offer a serious edge over other, similarly-equipped hospitals. It will allow patients to feel more comfortable with their time in the hospital and everything that happens there, while also wowing them with the modernity of the care they receive. On the surgeon’s side, more detailed, realistic training leads to more confident surgeons, who are more sure of their skills. This leads to real results, with better quality procedures and fewer mistakes, benefitting surgeon, patient, and the hospital as a whole.